I am rather a fan of apps for the iPhone camera that change the output with filters and many other types of alteration. I particularly like apps that produce output that look as if it had been sketched. A late night note on Facebook sent me to a Japanese website where there was information on a new iPhone app for making Manga-style images. The app itself is fairly simple and straightforward once it is found. Although the web page I was sent to (Tokyo Supersoftware) had details, these were all in Japanese characters and I have a knowledge black hole there. However, the App Store icon was visible and I clicked on that. That sent me to a Japanese iTunes web page with a link to the iTunes store which (then) reported that I needed to install iTunes. 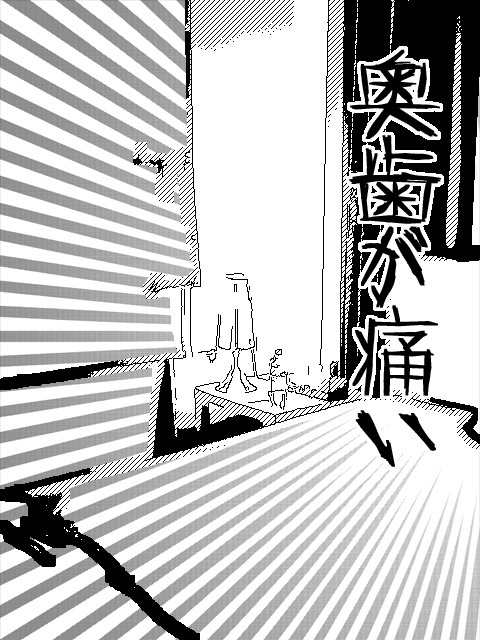 That has now been fixed and so has the display in the iTunes store for Manga Camera. I managed to download it by other means on Monday night, but the links have now been fixed and users interested in this free app should have no problems. 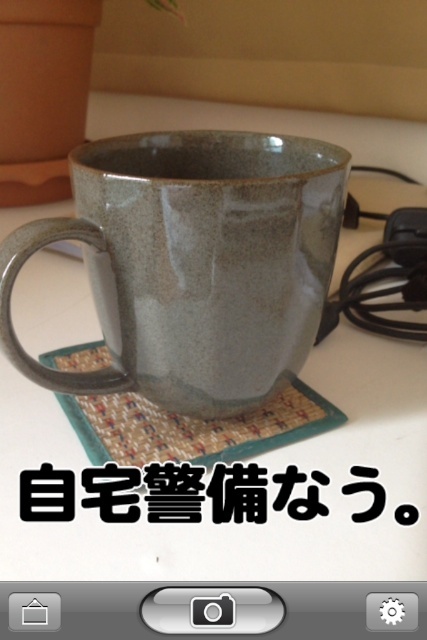 The app opens with a camera display on which there are Japanese characters. At the bottom are three control buttons. Frames, the camera shutter button and a gear-wheel icon for Settings. The Photo Frame page has 24 frame options. Simply tapping one of these makes it the basis for any photograph taken. The settings icon has options for Facebook and Twitter. There is also a useful Environment selector for Image Processing: Dark, Normal and Bright. The camera button is the only other control. There is no access to the front facing camera, so no self-portraits are possible. It is simply point and squirt. Some processing takes place and the transformed image is displayed. The change is utter and this is one of the most easy to use cartoon apps I have. It is no match for those like Halftone or Cartoonatic, but these allow much more user input. 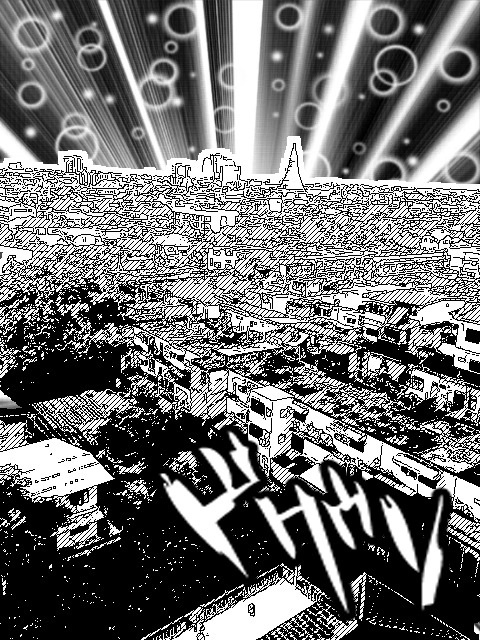 Manga Camera is a quick and effective producer of output in a specific style. Tapping on an image displays icons top and bottom. At the top is back: the user is returned to the main page and the image will not be saved. Settings (again) reveals the panel with Facebook, Twitter and the Image Processing buttons. At the bottom right is the frames access and these can be changed on the fly. So saving or exporting an image may be done, then the image recreated with a new frame. At the centre of the display is the export button: Save to photo library, Facebook or Twitter. Images that I saved to the Photo library were 480 x 640 and with a small size of 146 KB. 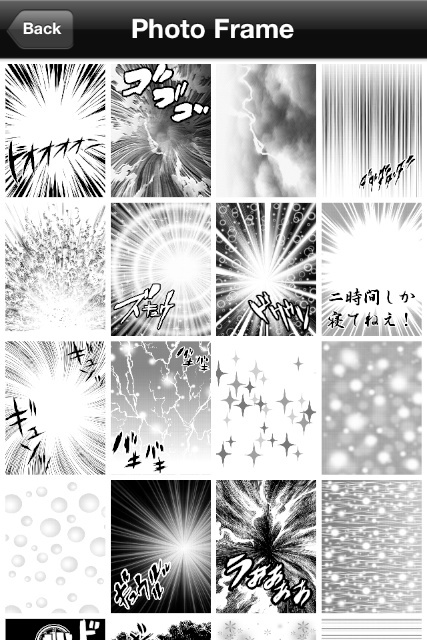 Unlike a number of photographic apps, the original is not saved, so there must be a conscious decision to create an image specifically for the Manga output style. Also unlike a number of such apps, there is no access to the Photo library so it is not possible to import previously taken photographs for post-processing. While the output is an interesting variation on the types of images that can be produced by the iPhone, the small size of the pictures along with the limits on importing or saving originals impose severe limitations on the user. The early experience I had in trying to download the app was improved overnight and should not be a problem for those interested now. I look forward to some developments and more features for this interesting app.